The legendary artist Paul Simon returns to our lives with his new album, Stranger To Stranger. Co-produced with his long-time musical partner Roy Halee, the album is packed with the kind of witty memorable melodies and lyrics that stand Paul apart from the rest. He describes the mood: “Sound is the theme of this album as much as it’s about the subjects of the individual songs. If people get that, I’ll be pleased.” Simon says of his and Halee’s experimentation on the album, “The right song at the right time can live for generations. A beautiful sound, well, that’s forever. It’s about making music that sounds old and new at the same time; music with a sense of mystery.” Pushing boundaries while keeping it all listenable is a key ingredient in Simon’s illustrious career. He first came to prominence as part of the duo Simon & Garfunkel, with Art Garfunkel. Their fabulous legacy is for another time and place, but suffice to say they conjured up such memorable masterpieces as ‘The Sound Of Silence’, ‘Mrs Robinson’, ‘America’ and the evergreen ‘Bridge Over Troubled Water’, garnering countless honours – a Lifetime Achievement Award, a place in the Grammy Hall Of Fame; individual album presentations, as well as the prestigious BMI Icon, in 2005, for Mr Simon. Paul is also the inaugural recipient of the Library Of Congress Gershwin Award (bestowed upon him in 2007), and was named among the Top 10 greatest ever songwriters by Rolling Stone magazine, who nailed Simon with affection: “The quintessential New York singer-songwriter, he switches between styles effortlessly with as much attention to rhythm as melody, a rare quality among artists who came of age in the folk era. Over the decades, his music has incorporated Tin Pan Alley tune craft, global textures, gentle acoustic reveries, gospel, R&B and electronic music, all without diluting his core appeal as an easeful chronicler of everyday alienation. Whether he’s operating on a large-scale summing up our shared national commitments in 1973’s ‘American Tune’, or writing a finely wrought personal reflection on lost love like 1986’s ‘Graceland’, the same wit and literary detail come through. For the generation that came of age during the 60s and 70s, he rivaled Bob Dylan in creating a mirror for their journey from youthful innocence to complicated adulthood.” Amen to that. Typically self-deprecating, as the greatest artists tend to be, Paul once stated of his own talent, “One of my deficiencies is that my voice sounds sincere… I’ve tried to sound ironic. I don’t. I can’t. Dylan, everything he sings has two meanings. He’s telling you the truth and making fun of you at the same time. I sound sincere every time.” That’s a deficiency? As we will soon discover, music – and, occasionally, acting – have been a full-time occupation for this much-loved troubadour. Like those other carved-in-granite superstars Bob Dylan and Willie Nelson, Paul Simon is a cornerstone in American music; a force for good; a man with the kind of appeal that completely crosses borders, boundaries and generations. His older music resonates, his new stuff continues to captivate. Born Paul Frederic Simon, in Newark, New Jersey, in October 1941, Paul Simon is more properly associated with the New York locale. His family moved to the Kew Gardens Hills area of Flushing, Queens, in 1945, and from a very young age the boy was listening to The Everly Brothers, Woodie Guthrie and Lead Belly, absorbing the wide patina of blues, folk, jazz and contemporary pop via his own record collection and the plethora of emergent radio stations. A school friend of Art Garfunkel, the pair teamed up when they were both 11 years old, starting out on a friendship that blossomed into their early teens as Tom & Jerry. Paul might have toyed with the idea of entering the law profession, but his first love, rock’n’roll, won out. Early releases on Amy Records were trumped by a successful audition for Columbia, whose then executive, Clive Davis, signed the boys to an album contract and insisted they use their surnames, rather than the rinky-dink Tom & Jerry. Their debut, Wednesday Morning, 3AM, was but a modest success, so, like any aspirant minstrel, Paul packed his case and his guitar, and moved to England in 1964, playing the folk clubs and coffee houses in London and beyond. Famously, he also recorded his solo debut, 1965’s The Paul Simon Songbook, at Levy’s Recording Studio, situated at 73 New Bond Street. That auspicious moment included ‘I Am A Rock’, ‘The Sound Of Silence’, ‘A Most Peculiar Man’ and ‘Patterns’: all gorgeous examples of folk-rock that would soon be revived and improved in the duo with Art. Coming into contact with the aspirant English and Scottish folkies such as Bert Jansch, Davy Graham et al, Simon knew he had to be on top of his game. 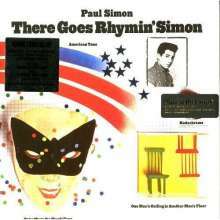 There Goes Rhymin Simon' took Paul to the Deep South, namely Jackson, Mississippi, and Muscle Shoals, Sheffield, Alabama, but he also returned to London for some later production work in 1973. Again, the wide-ranging sounds encompass Dixieland (‘Take Me To The Mardi Gras’), gospel (‘Loves Me Like A Rock’) and quintessentially smart pop songs (‘Kodachrome’) as well as the classic ‘American Tune’, a song that’s been covered in varyious degrees of glory by Willie Nelson, Eva Cassidy and Ann Wilson, among many others. Once again, the cast list is staggering: Allen Toussaint (horn arrangements on ‘Tenderness’); rock solid bass from David Hood; guitarists like David Spinozza, Cornell Dupree and Pete Carr; and strings provided by Quincy Jones on ‘Something So Right’. This is all set within a golden age of US music-making. Paul Simon In Concert: Live Rhymin’ (1974) is a natural adjunct to the studio disc and is also a virtual greatest (super) hits set with the accent on gospel (check Simon’s version of the Andraé Crouch piece ‘Jesus Is The Answer’) and South American pop in the guise of ‘El Cóndor Pasa (If I Could)’. The following year’s Still Crazy After All These Years gained Paul two long overdue Grammy Awards: Album Of The Year and Best Male Vocal Performance. The key moments are the title track, the ambitious and slippery ‘50 Ways To leave Your Lover’ and the return of Garfunkel for ‘My Little Town’, one of so many songs in Simon’s armory that deserve to be rediscovered. Following Greatest Hits, Etc, Simon gathered his thoughts before returning with One-Trick Pony in 1980. After a relative hiatus, this disc was greeted with unanimous acclaim and much fervor from the fans. Entitled after the movie of the same name (in which Simon also starred; check it out for many reasons, notably Lou Reed in the role of Simon’s hapless producer Steve Kunelian), the album is ripe for new appraisal. A properly East Coast affair, with two tracks recorded at the Agora Theatre in Cleveland, Ohio, this is one to rediscover for such goodies as ‘Late In The Evening’ and ‘Long, Long Day’, a collaboration with Patti Austin. Not to be outdone by the the new wave, our hero took stock again and emerged with Hearts And Bones in 1983, some time after the legendary Simon & Garfunkel reunion, aka Concert In Central Park. Following a dispute with his pal Garfunkel, Simon removed Art’s contributions to the album – though reconciliation would arrive. It’s a sterling set in any case: track down ‘The Late Great Johnny Ace’ and marvel at contributions from stellar musicians, including Chic’s Bernard Edwards and Nile Rogers, drummer Steve Gadd, and guitarists Dean Parks, Al Di Meola, Eric Gale and Sid McGinnis. Also note that Simon himself was up to speed with the latest tech, and introduced programming, synthesisers and Synclavier to boost his sonic range. “They” were no lesser talents than Ladysmith Black Mambazo, Youssou N’Dore and Lesotho musician Tao Ea Matsekha. This heady commingling of American-style country with authentic South African roots music won all concerned the critical acclaim that made Graceland a shoo-in for Album Of The Year at the 1987 Grammys. An aesthetic and visceral triumph, Graceland includes the wondrous ‘Diamonds On The Soles Of Her Shoes’, ‘The Boy In The Bubble’, ‘You Can Call Me Al’, ‘Under African Skies’ and ‘Homeless’. Discover without further ado. The potent vitality of the African participants is further enriched by such players as Adrian Belew (Talking Heads, David Bowie, Frank Zappa, Nine Inch Nails, King Crimson), The Everly Brothers, Linda Ronstadt and Tower of Power’s Lenny Pickett. The full album became the sound of the year. For The Rhythm Of The Saints, Simon broadened his love for world music by recording with South American musicians, conjuring a heady blend of world beat, jazzy pop and percussively persuasive items such as ‘The Obvious Child’ and ‘Proof’. Again, it pays to read the small print: JJ Cale participates, as do Ringo Starr, Hugh Masekala and Fabulous Thunderbird Kim Wilson on harmonica. The collaborative Songs From The Capeman, co-penned with Trinidadian poet and author Derek Walcott, is one of those that slipped through the net, but now deserves discovery. Likewise 2000’s You’re the One and the well-kept secret of Surprise, from 2006. The latter saw Simon working with Brian Eno and recording again in London, Nashville and New York. 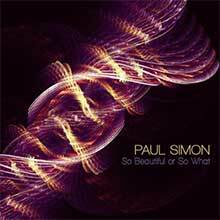 After that relatively minimalist release, Paul went all bells-and-whistles (literally and figuratively) for So Beautiful Or So What. Swapping ideas with former accomplice Phil Ramone, he entertained us richly with a Hollywood-meets-West Africa disc that finds space for wife Edie Brickell, neat samples of the Golden Gate Jubilee Quartet, “found” sound in the shape of an old sermon, and a well presented sleevenote courtesy of Elvis Costello. With touches of bluegrass recorded at Tony Bennett’s New Jersey studio, there’s a free and easy atmosphere at play here. In more recent months, Paul wrote the theme song for Louis CK’s 2016 TV web series Horace And Pete, starring CK and Steve Buscemi, with Alan Alda as the grouchy, sweary bartender. It’s something of an anti-Cheers, populated by darkly mordant characters ready to argue the toss over everything from sports to politics. Simon’s contributions can be heard at the beginning, the intermission and at the end, where he sings his lyrics over the closing credits. “Hell no, I can’t complain about my problems/I’m OK the way things are/I pull my stool up to the bar/At Horace & Pete’s/Sometimes I wonder why do we tear ourselves to pieces/I just need some time to think/Or maybe I just need a drink/At Horace & Pete’s.” It’s a sweet contrast. And so to the current Stranger To Stranger, proudly released on Concord Records via UMG. Working now with Italian electro dance boss Clap! Clap! (aka Cristiano Crisci), and reunited with Roy Halee, this is another groundbreaking release that shows us how Paul Simon has managed to keep abreast of the times. A character-led album with conceptual unity, this new disc features the witty ‘Wristband’ and the typically looping loveliness of ‘Cool Papa Bell’, more of that High Life and street sass that he’s famous for, the sounds of silence and everything in between: that means old-school pop and ambitious experimentation. Very few other artists can accomplish this. Better still, Paul Simon shows no signs of letting up. Still touring, and with an absolute wealth of the best in the American songbook at his disposal, he is bound to thrill and challenge – and, ultimately, to delight his legion of followers. He is the American tune master, a bridge over troubled water. 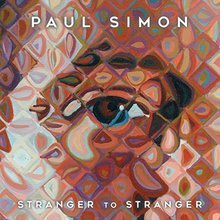 "The Werewolf" opens Stranger to Stranger, Paul Simon's thirteenth solo studio album, with a heavy rhythmic thud -- bass, drums, and maracas lumbering along in a modified Bo Diddley beat not a far cry from the Who's "Slip Kid." Simon isn't looking to the past, though: he's writing toward an inevitable sunset, mindful of mortality -- just like he was on 2011's So Beautiful or So What -- but he's firmly grounded in a tumultuous present, embracing all the cut-and-paste contradictions endemic to the digital age. With the exception of a pair of hushed acoustic numbers and the expansive title track, all positioned to provide necessary pressure relief from the density of the rest of the record, Stranger to Stranger feels built from the rhythm up, a tactic familiar to Simon since 1986's Graceland. Unlike the easy gait of Graceland, the words here are clipped and rushed, sliding in with the bustle of the rhythm. It's not that the songs aren't melodic -- hooks arrive in snatches, sometimes forming through the rhythms themselves -- but the tracks are cloistered and colorful, accentuated by traces of gospel and doo wop; there's even an apparent "Love Is Strange" sample. Echoes of tradition existing within this modern framework are telling, underscoring how Simon is making music where the past is ever-present but not consuming: he's shifted his aesthetic to mirror his times, a tactic common in his solo career. In many ways, Stranger to Stranger is as bracing and ambitious as Surprise, his 2006 collaboration with producer Brian Eno -- this is especially true of its opening triptych, all created with Italian dance musician Clap! Clap! -- but the tenor of this album is different. Where the specter of 9/11 hung heavily over Surprise, Simon seems at peace on Stranger to Stranger, acknowledging the twilight yet not running toward it because there's so much to experience in the moment. He's choosing to push forward, not look back, and the results are invigorating. The third new studio album of Paul Simon's post-Simon & Garfunkel career was a musical and lyrical change of pace from his first two, Paul Simon and There Goes Rhymin' Simon. Where Simon had taken an eclectic approach before, delving into a variety of musical styles and recording all over the world, Still Crazy found him working for the most part with a group of jazz-pop New York session players, though he did do a couple of tracks ("My Little Town" and "Still Crazy After All These Years") with the Muscle Shoals rhythm section that had appeared on Rhymin' Simon and another ("Gone at Last") returned to the gospel style of earlier songs like "Loves Me Like a Rock." Of course, "My Little Town" also marked a return to working with Art Garfunkel, and another Top Ten entry for S&G. But the overall feel of Still Crazy was of a jazzy style subtly augmented with strings and horns. Perhaps more striking, however, was Simon's lyrical approach. Where Rhymin' Simon was the work of a confident family man, Still Crazy came off as a post-divorce album, its songs reeking of smug self-satisfaction and romantic disillusionment. At their best, such sentiments were undercut by humor and made palatable by musical hooks, as on "50 Ways to Leave Your Lover," which became the biggest solo hit of Simon's career. But elsewhere, as on "Have a Good Time," the singer's cynicism seemed unearned. Still, as out of sorts as Simon may have been, he was never more in tune with his audience: Still Crazy topped the charts, spawned four Top 40 hits, and won Grammys for Song of the Year and Best Vocal Performance. 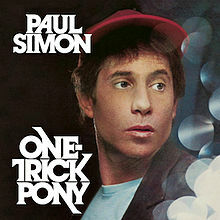 Though it was released to coincide with the opening of the film One-Trick Pony, which Paul Simon wrote and starred in, the One-Trick Pony album is not a soundtrack, as it is sometimes categorized, at least, not exactly. 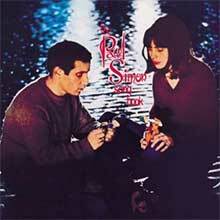 If it were, it might contain the Paul Simon song "Soft Parachutes" and other non-Simon music featured in the movie. Instead, this is a studio album containing many of the movie songs, some of them in the same performances (two were cut live at the Agora Club in Cleveland). The record is not billed as a soundtrack, but a sleeve note reads, "The music on this Compact Disc was created for the Paul Simon Movie 'One-Trick Pony.'" 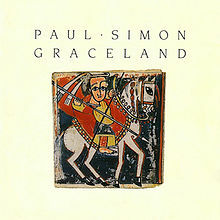 Anyway, if Simon was in fact writing songs for Jonah, his movie character (as seems true of songs like "Jonah," "God Bless the Absentee," and "Long, Long Day"), he intended that character to take a somewhat less considered lyrical viewpoint than Paul Simon generally does, but to be even more enamored of light jazz fusion than Paul Simon had been on his last album, Still Crazy After All These Years. Tasty licks abound from the fretwork of Eric Gale, Hiram Bullock, and Hugh McCracken, and the rhythm section of Steve Gadd, Tony Levin, and Richard Tee is equally in the groove. This is the closest thing to a band album Simon ever made, and it contains some of his most rhythmic and energetic singing. But it is also his most uneven album, simply because the songwriting, with the exception of the title song and the ballads "How the Heart Approaches What It Yearns" and "Nobody," is not up to his usual standard. Maybe he was too busy writing his screenplay to polish these songs to the usual gloss. The first album to use this title is one of the most mysterious in Paul Simon's output and almost belongs more with Simon & Garfunkel's discography, given its 1965 recording date. Following the failure of Simon & Garfunkel's first, all-acoustic folk revival-style album, Wednesday Morning, 3 AM, Simon headed off to England to see about pursuing music over there. While he was in London, he found himself in demand as a visiting American "folksinger" (though Simon's credentials in this area were rather limited), began building up a following in the coffeehouses, and was eventually pegged for a performing spot on the BBC. 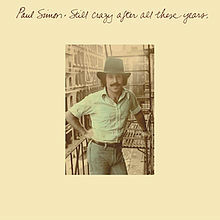 Suddenly, there were requests for Paul Simon recordings, of which there were none -- as a result of his being signed to Columbia Records in America, however, he was brought into the London studios of British CBS and recorded this album with only his acoustic guitar for backup. The resulting album is spare, almost minimalist, as Simon runs through raw and unaffected versions of songs that he was known for in London, including "The Sounds of Silence," "The Sun Is Burning," "I Am a Rock," "A Simple Desultory Philippic" (in its earliest form, and far nastier than the version later done by Simon & Garfunkel), and "Kathy's Song." The notes are very, very strange, but a bigger problem is the production by Reginald Warburton and Stanley West, which isn't terribly sympathetic; the sound isn't very natural, being very close and booming, but the album is a fascinating artifact of Simon's work during the interregnum in Simon & Garfunkel's career. And there is one fascinating number here, "The Side of a Hill," which eventually resurfaced as the countermelody song in the Simon & Garfunkel version of "Scarborough Fair" (a song curious by its absence here, considering that Simon was doing it in his coffeehouse appearances) two years later. Touted as Paul Simon’s return to traditional songwriting -- Simon writing alone with a guitar and a pen instead of constructing songs around rhythmic loops the way he’s done since Graceland -- So Beautiful or So What doesn’t feel like a return to the ‘70s. From the moment the record kicks in with the heavy blues stomp and samples of “Getting Ready for Christmas Day,” it’s evident that while Simon may have changed his style of composing, he’s not abandoning his method of record-making, which is distinctly engaged with the present. When Bob Dylan sings about Alicia Keys he does so with an old-fashioned swing, but when Simon writes a verse about Jay-Z he does it within the context of an album anchored in polyrhythms, chattering guitars, and digital loops, where the handful of delicate acoustic numbers function as a counterpoint to the clean bustle of the rest of the record. Certainly, So Beautiful or So What isn’t as reliant on soundscapes as its Brian Eno-produced predecessor, but it is no rejection of texture, just as it is in no way a repudiation of the musical sensibility of Graceland, whose rhythms are as firmly felt here as on any record he’s made since. Rather, So Beautiful elegantly touches upon each of Simon’s solo signatures within a compact 38 minutes, its brevity indicating the precision of Simon’s focus. There are no wasted sounds or words here, and if he offers some of his simplest, prettiest tunes in years (“Love & Hard Times,” “Amulet”) and spends a considerable chunk of the record dwelling on spiritual matters, the album is neither steeped in nostalgia nor haunted by death. 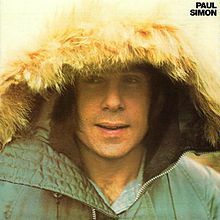 Paul Simon is remarkably clear-eyed in assessing the modern world and his place in it, not shying away from contemporary sounds -- if anything, the production is occasionally a tad too brittle, like so many digital-age recordings -- but not chasing after youth either. He’s merely living in his time and reporting, returning with an album that’s vivid, vibrant, and current in a way none of his peers have managed to achieve. 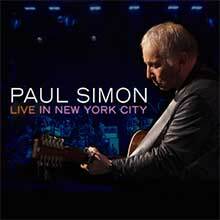 When it came time to cut a live album documenting his supporting tour for his excellent 2011 album So Beautiful or So What, Paul Simon did what he always does: he set up shop in his hometown of New York City. Previously, he -- either with or without Art Garfunkel -- released albums recorded at massive venues like Madison Square Garden or Central Park, but Hear Music's 2012 Live in New York City -- available either as a two-CD/one-DVD set or simply as a double CD or single DVD -- was recorded at the comparatively intimate Webster Hall and, appropriately enough, the performance feels comparatively cozy, Simon striking just the right blend of playing for himself and playing for the audience. He showcases a nice chunk of So Beautiful or So What -- "Dazzling Blue," "So Beautiful or So What," "Rewrite," "The Afterlife," roughly half of the album -- and about half of Graceland, often opting for album tracks over hits (no "You Can Call Me Al" or "Graceland," but "That Was Your Mother" and "Gumboots" both make the cut), and when he does dip into such standards as "50 Ways to Leave Your Lover," "Mother and Child Reunion," "Slip Slidin' Away," and "Still Crazy," he finds subtle little ways to inject a bit of groove into their well-worn contours. Simon is pleasing the crowd without pandering, and he winds up with a live album that's lively, slightly surprising, warm, and undeniably fun. Retaining the buoyant musical feel of Paul Simon, but employing a more produced sound, There Goes Rhymin' Simon found Paul Simon writing and performing with assurance and venturing into soulful and R&B-oriented music. Simon returned to the kind of vocal pyrotechnics heard on the Simon & Garfunkel records by using gospel singers. On "Love Me Like a Rock" and "Tenderness" (which sounded as though it could have been written to Art Garfunkel), the Dixie Hummingbirds sang prominent backup vocals, and on "Take Me to the Mardi Gras," Reverend Claude Jeter contributed a falsetto part that Garfunkel could have handled, though not as warmly. For several tracks, Simon traveled to the Muscle Shoals Sound Studios to play with its house band, getting a variety of styles, from the gospel of "Love Me Like a Rock" to the Dixieland of "Mardi Gras." Simon was so confident that he even included a major ballad statement of the kind he used to give Garfunkel to sing: "American Tune" was his musical State of the Union, circa 1973, but this time Simon was up to making his big statements in his own voice. Though that song spoke of "the age's most uncertain hour," otherwise Rhymin' Simon was a collection of largely positive, optimistic songs of faith, romance, and commitment, concluding, appropriately, with a lullaby ("St. Judy's Comet") and a declaration of maternal love ("Loves Me Like a Rock") -- in other words, another mother-and-child reunion that made Paul Simon and There Goes Rhymin' Simon bookend masterpieces Simon would not improve upon (despite some valiant attempts) until Graceland in 1986. If any musical justification were needed for the breakup of Simon & Garfunkel, it could be found on this striking collection, Paul Simon's post-split debut. From the opening cut, "Mother and Child Reunion" (a Top Ten hit), Simon, who had snuck several subtle musical explorations into the generally conservative S&G sound, broke free, heralding the rise of reggae with an exuberant track recorded in Jamaica for a song about death. From there, it was off to Paris for a track in South American style and a rambling story of a fisherman's son, "Duncan" (which made the singles chart). But most of the album had a low-key feel, with Simon on acoustic guitar backed by only a few trusted associates (among them Joe Osborn, Larry Knechtel, David Spinozza, Mike Manieri, Ron Carter, and Hal Blaine, along with such guests as Stefan Grossman, Airto Moreira, and Stephane Grappelli), singing a group of informal, intimate, funny, and closely observed songs (among them the lively Top 40 hit "Me and Julio Down by the Schoolyard"). It was miles removed from the big, stately ballad style of Bridge Over Troubled Water and signaled that Simon was a versatile songwriter as well as an expressive singer with a much broader range of musical interests than he had previously demonstrated. You didn't miss Art Garfunkel on Paul Simon, not only because Simon didn't write Garfunkel-like showcases for himself, but because the songs he did write showed off his own, more varied musical strengths. 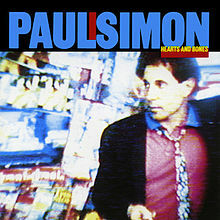 Hearts and Bones was a commercial disaster, the lowest-charting new studio album of Paul Simon's career. It is also his most personal collection of songs, one of his most ambitious, and one of his best. It retains a personal vision, one largely devoted to the challenges of middle-aged life, among them a renewed commitment to love; the title song was a notable testament to new romance, while "Train in the Distance" reflected on romantic discord. Elsewhere, "The Late Great Johnny Ace" was his meditation on John Lennon's murder and how it related to the mythology of pop music. Musically, Simon moved forward and backward simultaneously, taking off from the jazz fusion style of his last two albums into his old loves of doo wop and rock & roll while also incorporating current sounds with such new collaborators as dance music producer Nile Rodgers and minimalist composer Philip Glass. The result was Simon's most impressive collection in a decade and the most underrated album in his catalog.